One click and you’re done! Posting on social media is as easy as clicking the share button. But more effort gets you better results. Especially in a super crowded space like social media, more time and attention on each social media post is the key to much better engagement. This diagram explains my own experience in social media marketing …and pretty much everything else in life. Most social media posts get almost no traction, while a small percentage of posts get huge engagement. So time is linear, but results are exponential. Even a little more effort can move you much higher up the results curve. A little work leads to a lot more engagement. Here are guidelines for what to post on social media for business, and how to roll up your sleeves and upgrading your social content with better writing, images and mentions. Adding these elements to your posts will increase visibility and engagement on everything you share. 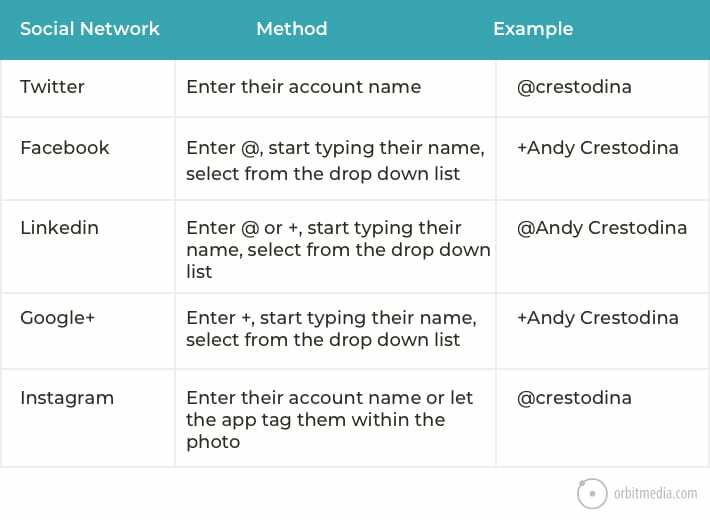 In these social media post examples, we’ll use Twitter, but these guidelines are relevant to every social network. Most social media posts are headlines, so for starters, use every trick in the book for maximizing click through rates. 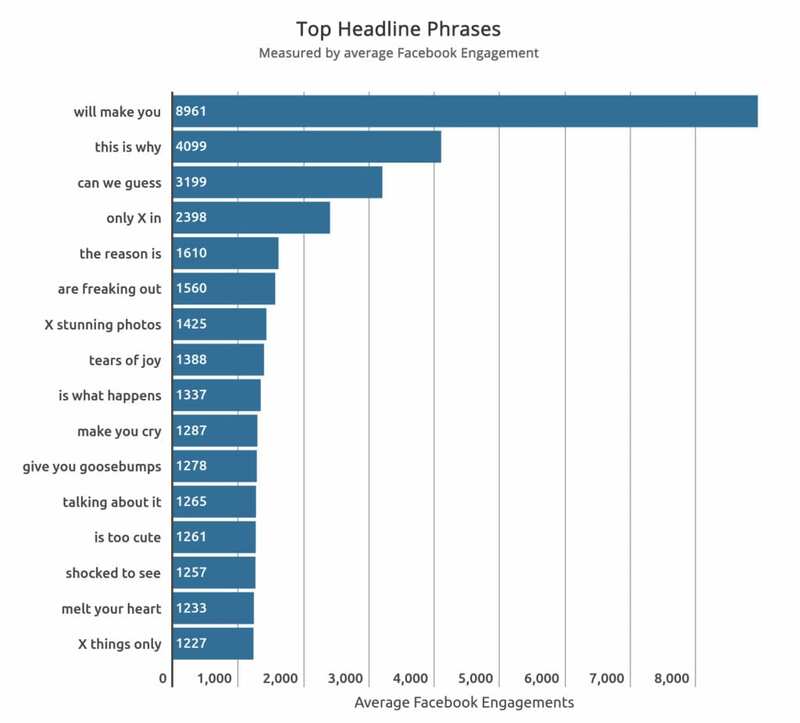 For a complete list, see How to Write a Headline That Won’t Get Ignored, but ignore the keyphrase tips. This is social, not search. Keyphrases aren’t important here. A second headline will give the reader another reason to click. It gives them a better idea of what the content is all about. You’ve got plenty of room, so why not write two headlines? The second headline is a second chance to catch attention and get them to engage. A hashtag is a clickable keyword or topic, such as #contentmarketing, #blogtips or #Chicago. They can increase the visibility of your social posts. When someone clicks a hashtag in any post, they’ll see all the posts with that hashtag. If they see yours, that’s good! But if someone is looking at your post and they click the hashtag instead of the link to your content, that’s bad. So use them only if you believe your content is more click-worthy than the other content on that hashtag. Instagram posts don’t include links, so hashtags there won’t compete with links to content. That may be one reason why Instagram posts include often have tons and tons of hashtags. Few marketers do this, so it’s a good way to help your posts stand out. Line breaks increase the vertical height of your social post, making it more visually prominent in the social stream. Also, the additional whitespace keeps text within the post itself from getting too crowded. Currently, all the social networks allow for line breaks, except for LinkedIn. If there is a compelling soundbite from the article, use it as the text in the social post. Images are critical. Research consistently shows that more visual social posts get more shares, engagement and clicks. Social media is a visual place. 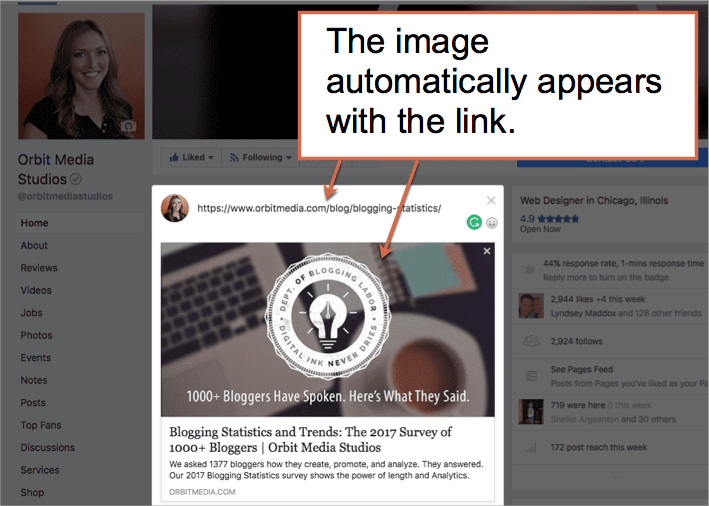 If your website is properly programmed, the featured image from the article will automatically appear in the social post when shared. If there is a more compelling image from within the article, such as a diagram, add it manually. Some social networks let you add a tiny gallery of images. Images with faces are powerful attention grabbers. And when the headline is included within the image itself, it is much more likely to be read. 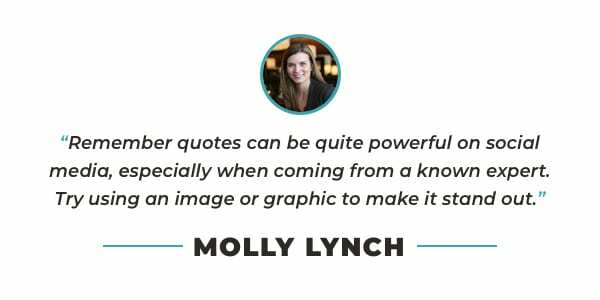 Create new images for social posts that include the author’s picture and a catchy headline. Puppies also work well. Better yet, go all in and make short social media videos describing the article. This can actually be done in seconds using the native video features of Facebook and LinkedIn. Don’t just write an article and share it. Share it with a short video of yourself explaining the article. Make a commercial for everything you make. Steve Rayson’s research on 100 million headlines has decrypted the psychology of social media users. It gives us a powerful cheat sheet for word choices. Steve discovered which trigrams (three-word combinations) appear most often in the most shared posts on social media. “Will make you” is clearly a powerful phrase in social media. Steve reminds us that it can be used in two different ways. It appears in headlines that trigger curiosity (10 Biochemical Disaster Stories That Will Make You Want to Sterilize Your Entire Lab) and in headlines that indicate a specific benefit (The 3-Point Checklist That Will Make You a Better Lab Technician). 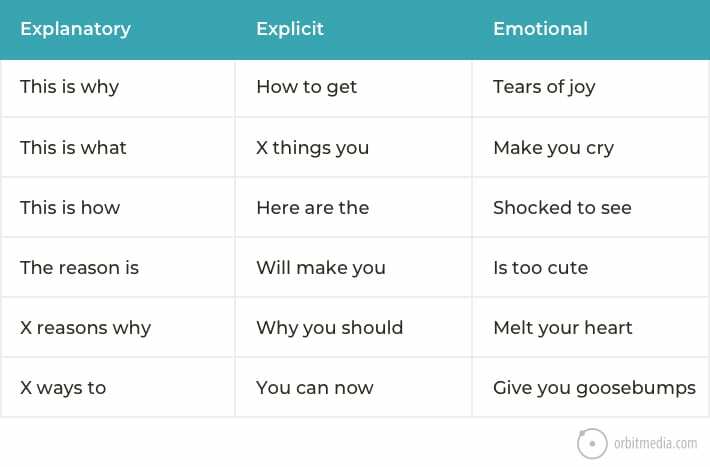 For most marketers, the explanatory trigrams are more useful in marketing than the emotional ones. “Clickbait” is a headline that attracts a visitor, but an article that doesn’t live up to the promise. They may give you a short-term benefit but they reduce trust over the long run. If your headline says “These 10 stunning photos will make you cry tears of joy!” …I’d better be crying as I read your article. If they’re active on social media, they’ll see the notification and be glad for the mention. They may even reshare your post with a simple click. If you mention someone who isn’t active on social media, they probably miss it unless they have email notifications turned on. So it’s ideal to mention people who are active in that network and likely to engage with the content. Mention contributors or anyone who helped to create the article. It lets them know it’s live, but it’s also a small way to say thank you. The social media mention is an important part collaborative content marketing. It’s also a way to bring the article to the attention to new people who might love it. If you quoted someone, a mention is a way to let them know. Share the quote itself on social media, mention them and link to your article. Similarly, use social media to mention anyone whose research you cited in your article. If you reached out to a person or two to get a contributor quote while writing, now is the time to mention them when you share. This may also include designers who created the graphics, photographers who took the picture and even friends who helped craft the idea. This kind of targeted sharing involves taking a minute to find and mention people who are sure to like the article. Do this badly and you’ll look like a spammer. Do this well and they’ll be thrilled that you brought it to their attention. The idea is to find that tiny slice of overlapping topics or themes, and then use social media to find people who have both in their bio. Did you write a zombie-themed post about corporate tax accounting? Find and mention people with “zombie” and “corporate tax” in their Twitter bio. They’ll love it. Did you write an article about changing careers from clinical research to government regulation? Find and mention someone with those titles in their LinkedIn profile. These mentions trigger notifications and can lead to quick engagement. And those first few likes, comments and shares can trigger the algorithms that push you to the top of the streams. Facebook, Instagram and LinkedIn are looking for fast evidence that the post is interesting. Mentions help a lot! Social sharing plugins are easy to add to websites and they make it easy for visitors to share, but they might mention themselves in the social media posts they create, rather than the blog or the writer. This is one of many common mistakes in social media integration. Make sure that your social sharing buttons mention the website by default. And if possible, ask your developer to have them mention the author of the article as well. Let’s finish up here with an example of a social media post that combines all these elements. It’s easy to imagine how this would get more traction than just a simple share. It can take five minutes or more to upgrade a post in this way. But the results are exponentially better. Work a little harder on your social media posts. It’s worth the effort. Considering Steve Rayson’s recent research (and your in-depth coverage of it) we all need to work a little harder on these social shares. It’s not getting easier! Thanks for visiting, Heidi and Mitch! 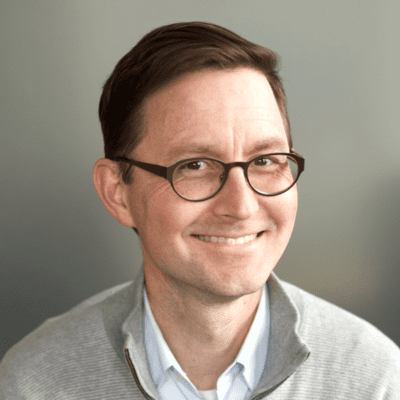 Thanks Andy… This article caught my attention as it came to me in an email. I look forward to applying many of the suggestions that you give here. The idea of putting more effort into social posts is clear and effective. Totally agree with you on the “No Click Bait”. What’s the point of getting all the clicks and risk lowering down avg. time on site and high bounce rate? Thank you for your brilliance in producing this complete and straightforward fact-based treatise to help practitioners of digital marketing succeed. I cannot believe you are giving away this DIY package of knowledge. I guess you know that precious marketing resources are better spent on obtaining actual tools that can build better social posts, such as DAMs, rather than spending dollars and time in passive “how to” training that so often falls short of actionable content and wastes hours of productivity. Andy, great tips! I usually do the arrow thing on Twitter but I will start to use it on Facebook and the same for the emoji’s. What is the best practice of sharing your own? I usually don’t put in the @ when I share my own posts. I never mention myself when sharing my own posts. That might be a little weird. But it makes sense to mention the publication, even if it’s your own company …assuming it has it’s own account. Yes, the arrow is the best! From what I’ve seen, Videos seems to increase the engagement rates. Even if the message is short. If you make it like a GIF or slider, people will engage more. These are all awesome tips for improving social media engagement rates. But, I would say that major effort in social media marketing lies in doing proper content research and creating something that your audience might enjoy or find useful. If the content can’t be enjoyed or if it is not useful, then no tricks in the books will make it any better. The works that matter should be done before you post on social media. 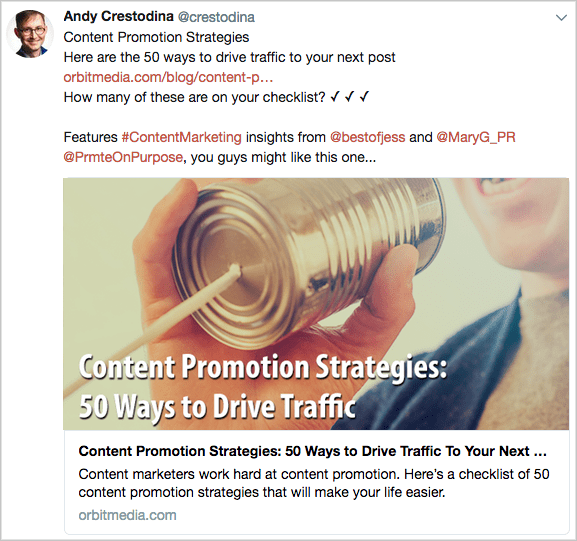 These tips, for posting, will help you get the most out of the work you’ve done in coming up with the content. I believe hastags and mentions also was first introduced by twitter and later adopted by facebook and other social media networks. Twitter deserves some credit for coming up with such innovative ways to make people engage. As a “social media marketing” newbie, I am always looking for helpful tips on what to do to get more engagement. Thank you for this!! I’m finding that posts in LinkedIn get exponentially more views and engagement if I don’t include a link. I’m assuming that LinkedIn is prioritizing the posts that don’t lead people off-site. Is this your experience? Hi Andy! First of all, I believe that this article is great to allow users to engage users on various platforms. However, do you believe that you should tailor your social media posts depending on the platform? For example, does engaging an audience on LinkedIn differ from engaging an audience on Twitter? Or should there be consistency between platforms? I would like to know your thoughts. Thanks! 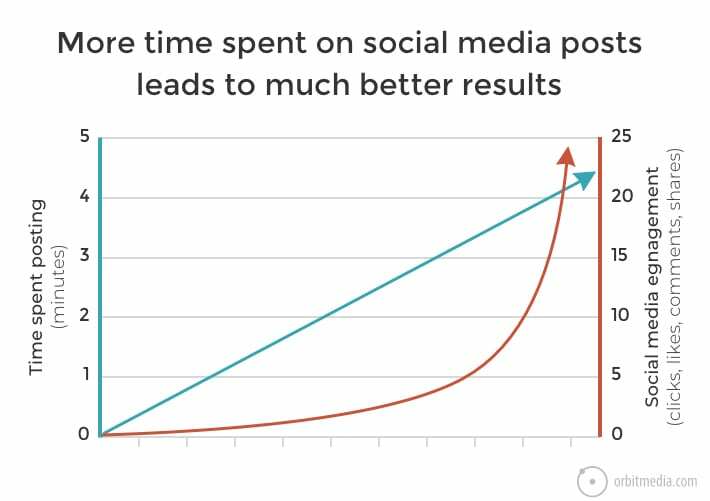 Your first graph is hillarious, your time spent on post and your engagement are on the same axis meaning that the more time you spend on the post the more engagement you get, but the left / right part of the graph is meaningless. I get the point but it still amused me.